morrbyte provide the following range of image restoration and digital image manipulation services. If you have an old photograph that is damaged or you want a copy we can help. 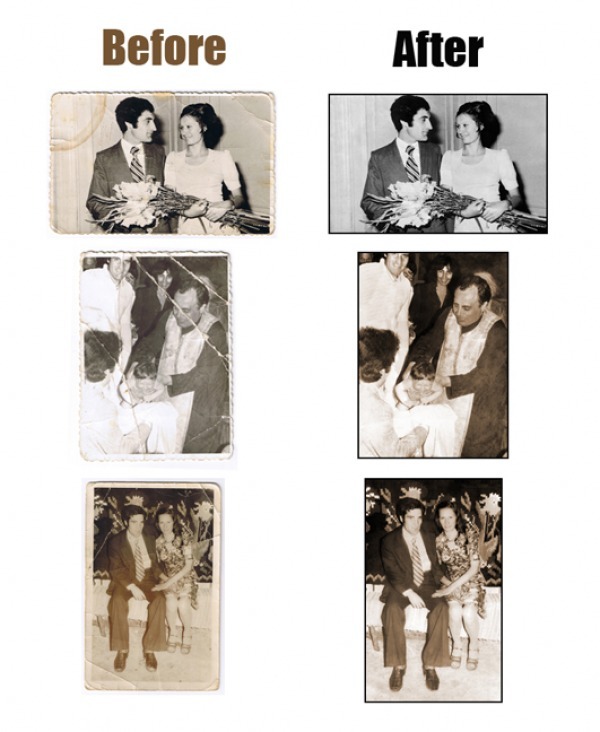 We can restore and repair damaged photographs, remove blemishes, colourize and tint old black and white photos, enlarge, copy and even create photo montages of your treasured memories. We can restore almost any damaged photo and do enhancements such as contrast, colour balancing and adding/removing of objects and people in the image. Give us a call to set up an appointment or to ask a question. Let us know how we may serve you. prior to commencing on the work.